What began as a one-week program to highlight awareness of composting as part of Earth Week in April of 2012 has expanded into weekly pick-ups of 64 gallons of organics collected from the lunchroom, classrooms, and the faculty lounge at Hubbard Woods School. Other District 36 schools are following our lead and instituting composting programs as well. This program is fully funded by HW PTO. Volunteers are always needed in the lunch room to keep our “sorting” effective. 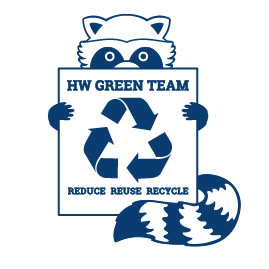 Hubbard Woods School recycles the same items that may be recycled residentially through curbside pick-up and throughout Winnetka.